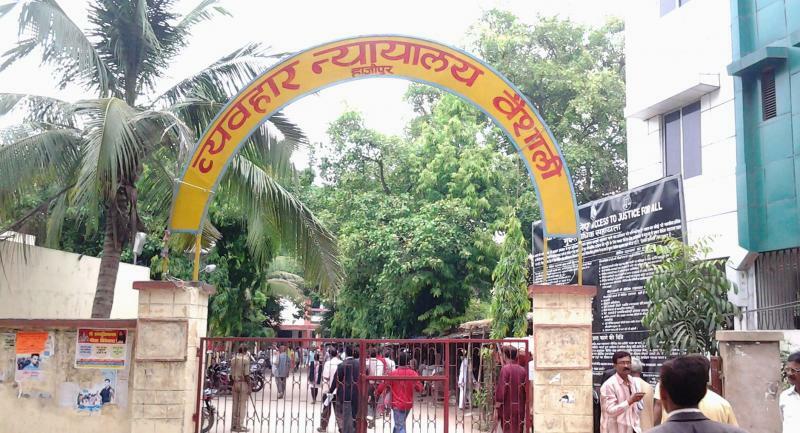 The Hajipur Judgeship came into existence as a separate Sessions division on 19th May, 1979. This judgeship was inaugurated by the then Acting Chief Justice Hon'ble Sarwar Ali. Prior to this it was part of the erstwhile Judgeship of Muzaffarpur. The first District & Sessions Judge was Sri Sahdeo Singh and the present District Judge Sri Prem Ranjan Mishra is the 25th District Judge in succession. About six and half rears prior to that it was notified as a District on 12.10.1972. Vaishali is an ancient historical place, about 40 kms, away from Hajipur towards North-East. So, this District/ Judgeship were adorned with the historical name VAISHALI. Vaishali derives its name from king Vaishalik whose heroic deeds are narrated in the Hindu epic Ramayana. It has got the credit of evolving the first democracy of the world by the Lichhavis. 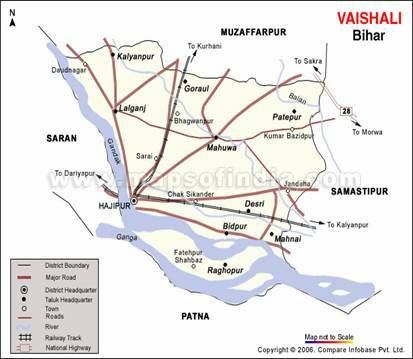 The recorded history of Vaishali dates back to the rise of Vajji or Vrijjan Republic. It was the birth place of the 24th Jai Tirthankar, Lord Mahavir according to a popular belief. Lord Buddha visited this place at least thrice during his life. He announced his approaching Mahaparinirwan to his followers at this very place. The historical court dancer of Vaishali, Amarapali was born on this very land and she embraced Buddhism here itself. The great Hindi poet Ramdhari Singh Dinakar narrated the glory of VAISHALI. Hajipur town was named after the name of its ruler Sahabuddin Illiyas Shah Haji who was the Nawab of Bengal in the year 1345 A.D. Its ancient name was HARIRPUR OR HASTIPUR. It is situated on the eastern bank of river Gandak and southern bank of river Ganga. It was made a revenue Sub-division in the year 1865 during British rule. At present 41 Judicial officers are posted in the Vaishali Judgeship including Principal Judge, Family Court and 08 Temporary Civil Judge’s (Junior Division). Vaishali find its origin way back in history from the Mahabharata period. It is the place where democracy found its origin around 600BC. Numerous references to Vaishali are found in texts pertaining to both Jainism and Buddhism, which have preserved much information on Vaishali and the other Maha Janapadas. 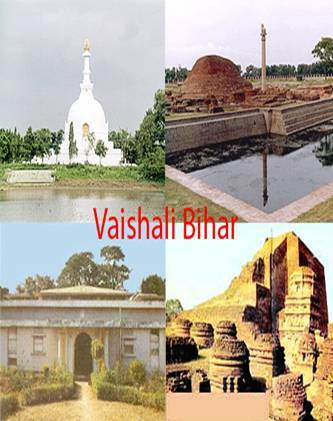 Based on the information found in these texts, Vaishali was established as a republic by the 6th century BC, prior to the birth of Gautama Buddha in 563, making it the world's first republic.Being the birthplace of the last Jain Thirthankara Lord Mahavir gives Vaishali a very special place in history. The founder of Buddhism, Gautam Buddha delivered his last sermon and announced his Parinirvana (attainment of enlightment) on this holy soil. It is also renowned as the land of Ambapali (Amrapali), the great Indian courtesan. It is held that the district derives its name from King Vishal. However, history records that around the time Pataliputra was the centre of political, cultural and economic activities in the Gangetic plains, Vaishali came into existence as centre of the Ganga, it was the seat of the Republic of Vajji. Vaishali is credited with being the World's First Republic to have a duly elected assembly of representatives and efficient administration. Vaishali is also renowned as the land of Ambapali (also spelled as Amrapali), the great Indian courtesan, who appears in many folktales, as well as in Buddhist literature. Ambapali became a disciple of Buddha. The district gained the status of independent district on 12-10-1972, prior to which it was a part of old Muzaffarpur district. Hajipur, the district headquarters of Vaishali was so named after a King of Bengal named Haji Ilyas Shah (1345 to 1358 A.D) who founded it. He built a fort in Hajipur, with a mosque inside it called Jami Masjid, a building measuring 84.5 ft (25.8 m) long and 33.5 ft (10.2 m) broad, which was called Ukkacala in ancient times. Vacancy for the post of Judicial Member, Continuous Lok Adalat, Vaishali at Hajipur.